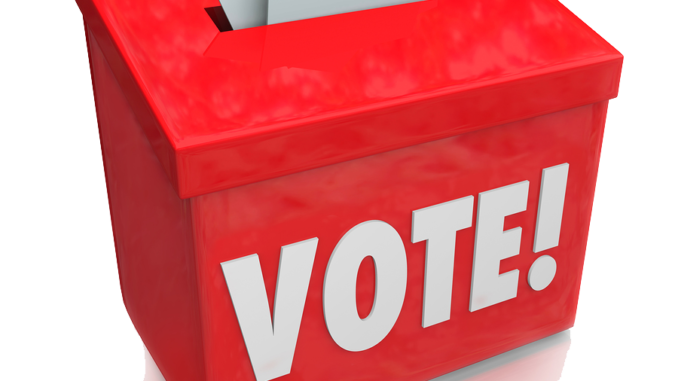 HomeFeaturesAre you eligible to vote tomorrow? Are you eligible to vote tomorrow? MEEKER | Are you eligible to vote in tomorrow’s election? More than likely, at least when it comes to Eastern Rio Blanco Metropolitan Recreation & Park District’s board election. A few residents may have an issue if “you are not on the eligible electors list, but you own property in our District,” Kiser said. “Then we would have to refer to our property owners list to see if they show up on that list and check with the Secretary of State to be sure they are an eligible elector in the state of Colorado.” If you think this exception may apply to you, contact Kiser at 970-878-7417. ❑ 2b. You live in a property that is included within the District as your primary residence. This is called “resident eligibility”. ❑ 2a. You or your spouse or civil union partner owns property that is included within the District. This is called “property owner eligibility”. Please note: In order to qualify under the “property owner eligibility”, you or your spouse or civil union partner must own the property in an individual capacity. Property that is wholly owned by a trust, LLC, or other entity will not satisfy the requirements for “property owner eligibility”. Frequently asked questions about property owner eligibility and residency eligibility are below. If you have any questions regarding your eligibility to vote in the election, please contact the District’s Designated Election Officer, Cathy Kiser, at 970-878-7417. Question: How do I know if my property is included within the District? Answer: All properties located in the Town of Meeker are included within the District. If your property is not located in the Town of Meeker, then you can check your tax statement from Rio Blanco County to see whether it is still included within the District. If your tax statement shows that you pay taxes to the District (it may show the code “E. RB Park & Rec”), then your property is included within the District. If you have questions regarding your tax statement, please contact the Rio Blanco County Treasurer (970-878-9660). Question: I live in a residence that is included within the District, but I don’t own it. Can I still vote? Answer: Yes, as long as you are registered to vote in the State of Colorado and live in a residence within the District, then you qualify under the “resident eligibility”, even if you don’t own the residence. Question: I own or live in a mobile home or manufactured home that is within the District. Can I vote? Answer: Yes, as long as you are registered to vote in the State of Colorado, then owning or living in a mobile home or manufactured home within the District qualifies you under the “property owner eligibility” or “resident eligibility”. Question: I heard that if I own a 40-acre or larger agricultural parcel, then I can’t vote. Is that true? Answer: Possibly. Under State law, when the District was organized in 1981, any agricultural parcel of 40-acres or more was not allowed to be included within the District unless the owners gave specific consent at the time of organization, or petitioned to have the property included within the District at a later time. Accordingly, any agricultural parcels of 40-acres or more that did not have owner consent either at or after organization are non-included enclaves within the District’s outer boundaries, like the holes in Swiss cheese. If your 40-acre or larger agricultural parcel is one of these non-included enclaves, then you are not eligible to vote by reason of owning or residing on the agricultural parcel. However, you still may be eligible to vote if you also own or live in a different property that is included in the District, for example, a house in Meeker.